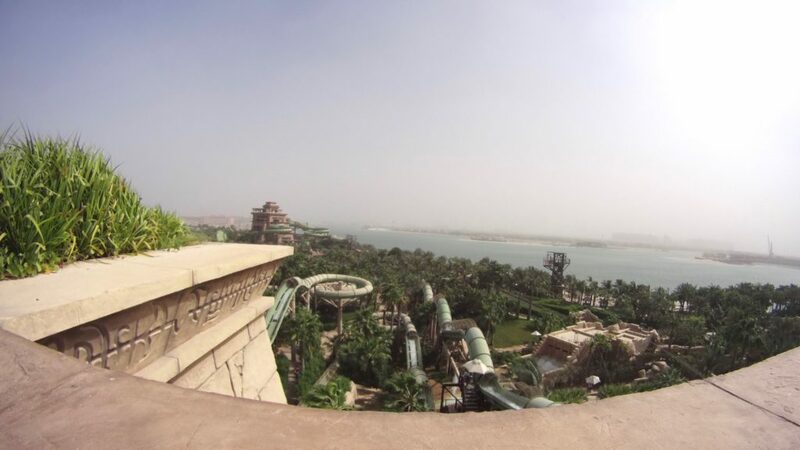 Spending the Day at Atlantis the Palm's Aquaventure Water Park in Dubai - Holy Smithereens! The Palm Jumeirah Dubai is not only famous for being the man-made landmark island in Dubai, it’s also known for its concentration of luxury hotels and resorts. 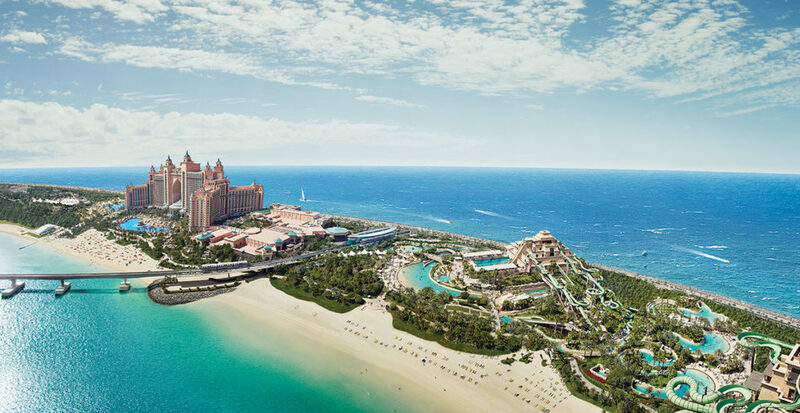 One of the most popular resorts in the area is Atlantis, The Palm. With 1,539 rooms, this nautical-themed resort was the first to open in The Palm in 2008. It is also no doubt the most visited resort, because here you can find the famous water park, Aquaventure. While water parks are not really my thing, I could not pass the opportunity to experience Aquaventure while in Dubai. 1.) Dubai takes all things to the utmost ultra mega luxe level. So if you must visit any water park in the world, it has to be this one. 3.) The extremely hot weather in Dubai. It was an amazing way to cool off. Something different from being in an air-conditioned building. For families visiting Dubai, Aquaventure is highly recommended. Even though most of the slides and rides are for adults or above 12, there are areas dedicated for smaller children. Aquaventure was voted Dubai’s best water park. I have not been to the other ones but having gone through almost all the water slides/ tubes, I can say that if water parks had ratings, Aquaventure would be 5-star. It was very well-maintained, no sign of wear or rusty parts at all. All equipment were in tip-top shape. The slides are out of this world. It’s hard to see on the photo above, but that tunnel was actually inside an aquarium. 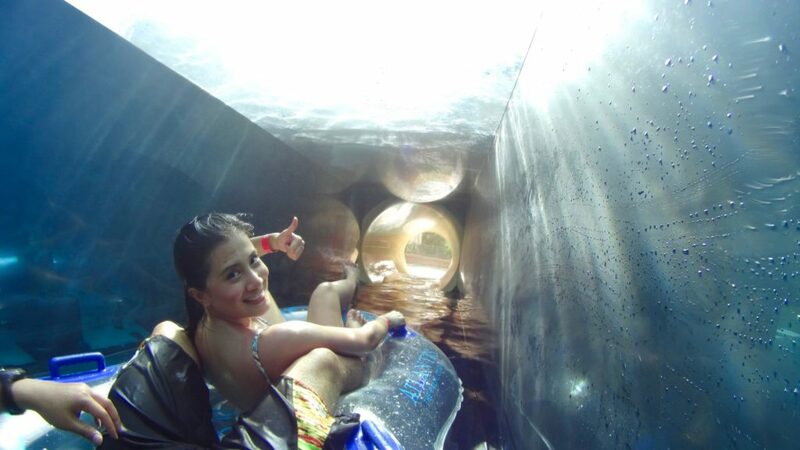 It’s part of a slide tunnel where you find yourself surrounded by sharks, sting-rays and fish. It’s quite surreal and exhilarating. 2.) Bring only necessary stuff. Locker and towel rental is available. This area is near the entrance. The rides / slides won’t allow people wearing shirts (or shirts over swimwear) and other unnecessary things. Selfie sticks are also not allowed. 3.) Ladies, wear one-piece swimwear or rashies. Slides. Splash. Water current. enough said. 4.) Sunscreen. You will be walking all over the park in your swimwear. Sunglasses and hats are not allowed in slides so you will be without it for a time. 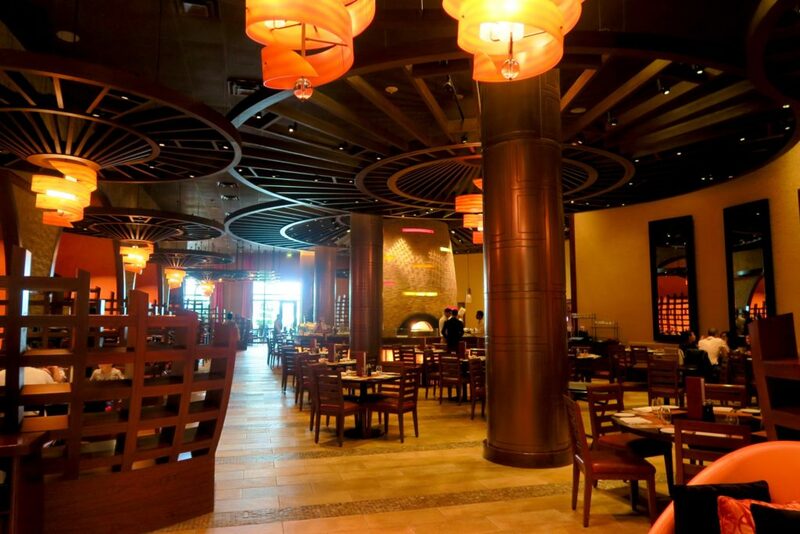 There 19 restaurants within Atlantis The Palm (including Japanese restaurant Nobu). 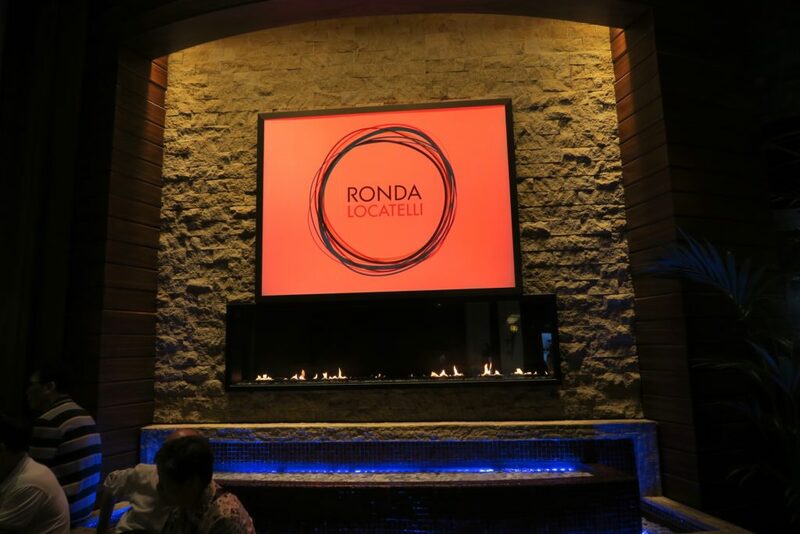 We had lunch at Ronda Locatelli, their Italian restaurant. The ambience was such a nice respite from the active chaos of Aquaventure. But best of all, the food. I don’t know about you, but everytime I go for a swim, let alone spend the whole morning going up and down water slides – I am famished. So I ordered something crunchy, something carb-y and something sweet. My idea of an after-swim meal! 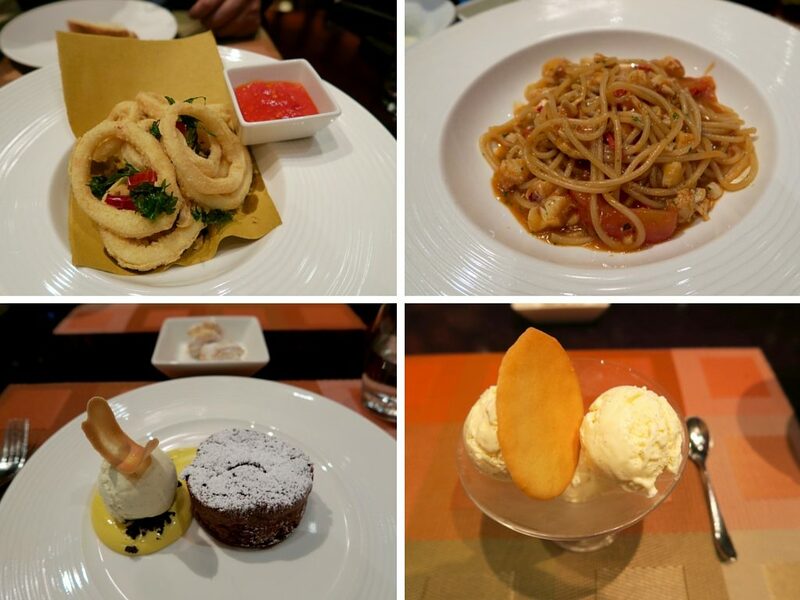 Started with calamari rings, then spaghetti with lobsters, chili and garlic (sooo good!) and then dessert of chocolate lava cake and ice cream. 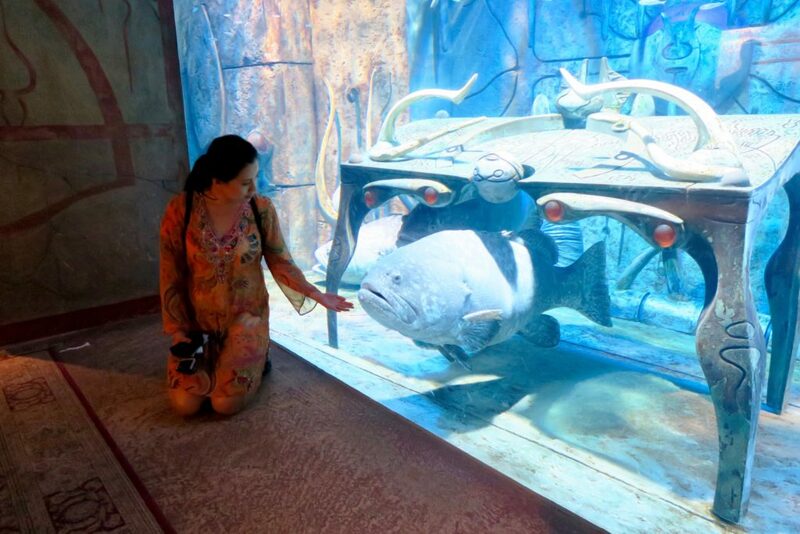 After lunch, we headed to The Lost Chambers, Atlantis The Palm’s hypnotising indoor aquarium. 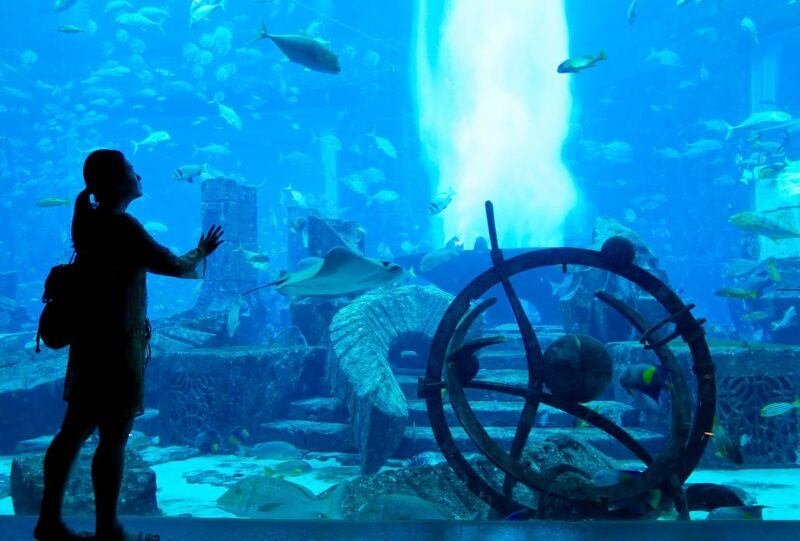 As we all know ,Dubai takes all things to the next level so this aquarium is not your typical kids’ field-trip kind of aquarium. It’s more of a hypnotic, jaw-dropping display of sea creatures. While this is the most impressive and well-kept aquarium I’ve been to, I have to say that I am conflicted about aquariums and zoos. I very much prefer seeing animals in their natural habitat. But I also don’t want to be all preachy about it because not everyone can have the opportunity to view animals in the wild. Zoos and aquariums also provide education for young people. 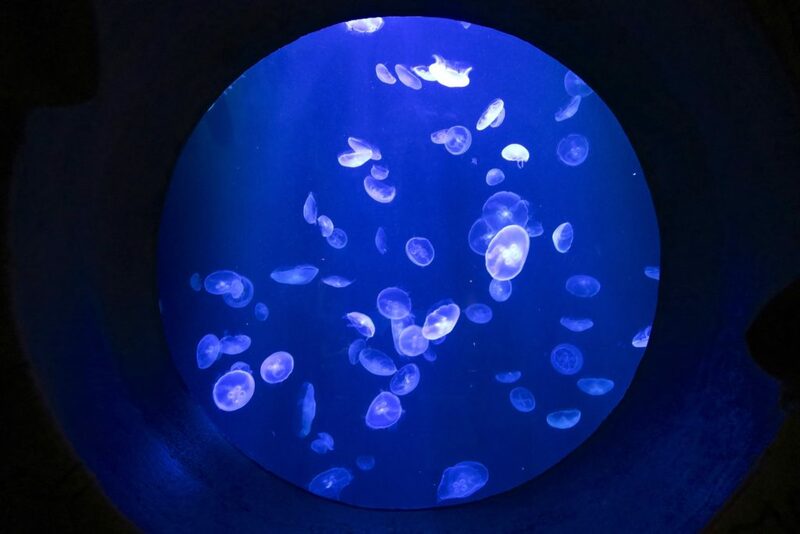 While the fish and sea creatures really all looked very healthy and the aquariums were in top-notch condition, I cannot help but feel for the animals. Are they happy? Do they feel trapped? This grouper seems to want to have a long chat. This area of zoos and aquariums will forever be a conflict zone for me. Nevertheless, The Lost Chambers Aquarium was a great way to cap off a day that went from super active to kind-of-mellow to total chill. Do you love water parks? 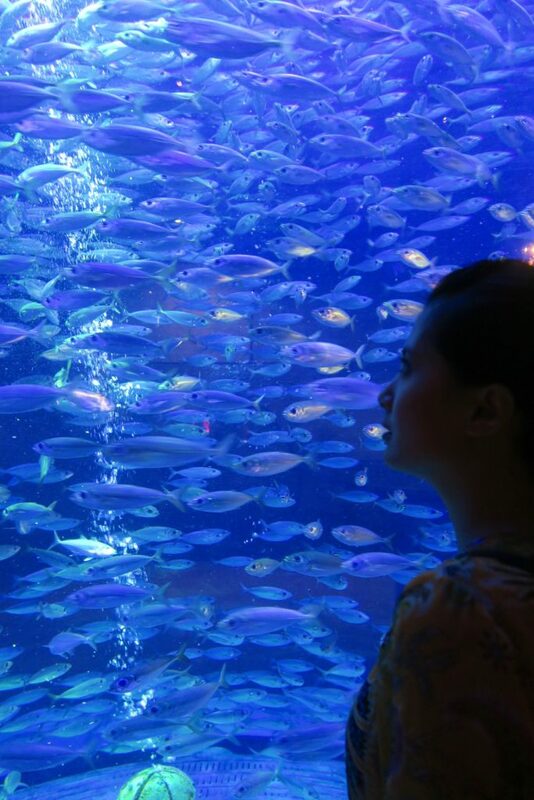 How do you feel about aquariums and zoos? 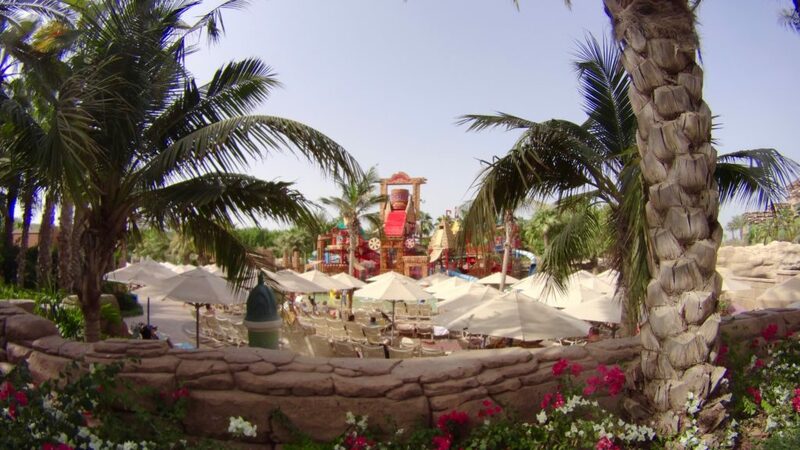 A Combination ticket for Day Visitors to Aquaventure and Lost Chambers costs AED 310.00 (approx. AUD 115.00) for an adult, and AED 250.00 (approx. AUD 92.00) for a child. We were hosted by Atlantis The Palm for entrance to Aquaventure, lunch at Ronda Locatelli and entrance to The Lost Chamber. All views, opinions, and shrieks over water slides are mine. Great to read. I’ll share to my Facebook as it’s ideal for readers. I haven’t ever been to Atlanis The Palm but hope to stay sometime and enjoy this water park. We stayed at Jumeirah Beach and loved the Wild Wadi, for families it is marvellous to stay somewhere which has a water park – fab for wearing the kids out! This waterpark would totally bring out the adventurous kid in me!! Though it’s funny how something as simple as a water slide (or any slide) now scares me as an adult, whereas as a child, I could have done these things with my eyes shut and not thought twice about it. It seems like the kind of resort with so much going on that one would barely need to leave it!